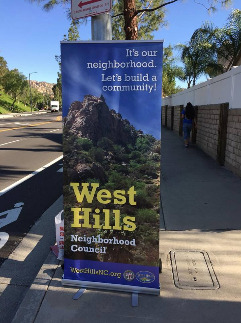 West Hills was recently singled out by the Daily News as having one of the cleanest communities in the Valley, thanks in large part to countless community volunteers and members of the WHNC’s Beautification Committee. The Beautification Committee, under the direction of Co-Chairs Reeyan Raynes and Tony Brosamle, organizes monthly community clean-ups throughout the West Hills community and work with a multitude of City Departments in addressing concerns ranging from tree-trimming to bulky item pickups. 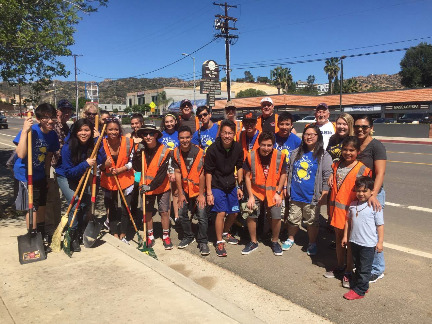 In May, the Beautification Committee organized a community cleanup along Sherman Way and Platt Avenue. Assistance with other cleanups has been provided by Key Club members from area schools, the Kiwanis Club of Woodland Hills/Warner Center, and local residents. If you live on a street or know of a street that needs some help, or if you would like to volunteer, email [email protected] or [email protected].